Red is an amazing color. 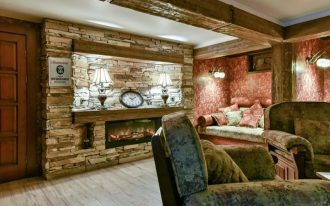 If you apply it to your home, Your home will have a strong color that will increase your spirit. 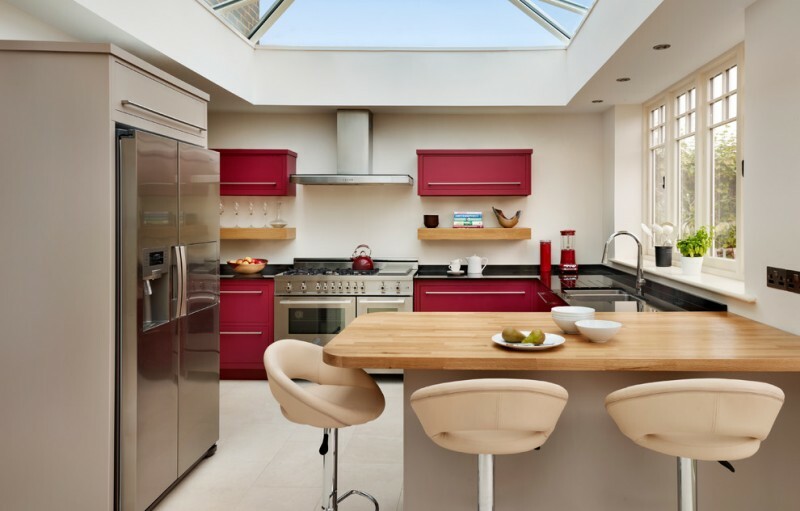 You can have a nice red color appearance in your kitchen. 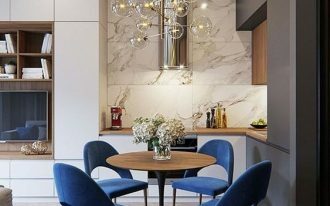 you only need to paint the kitchen wall with red or you can get red kitchen furniture pieces such as cabinets and barstools. 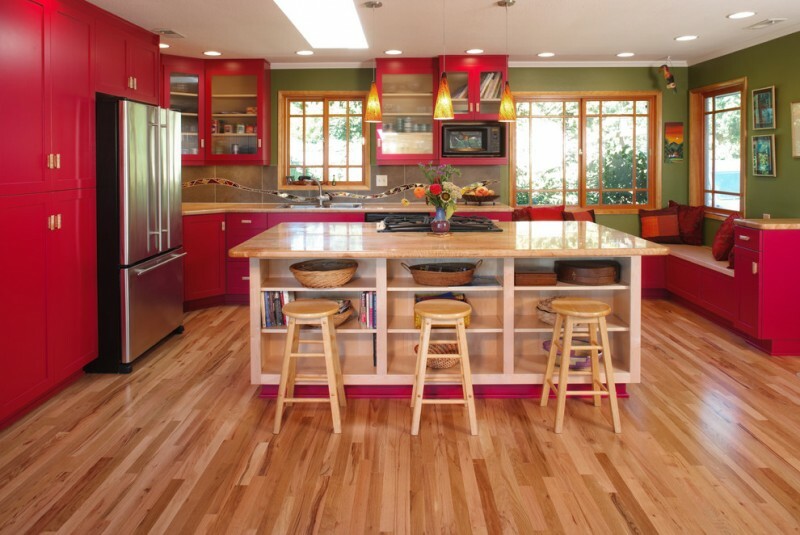 The red color in your kitchen will make you more exciting when cooking. 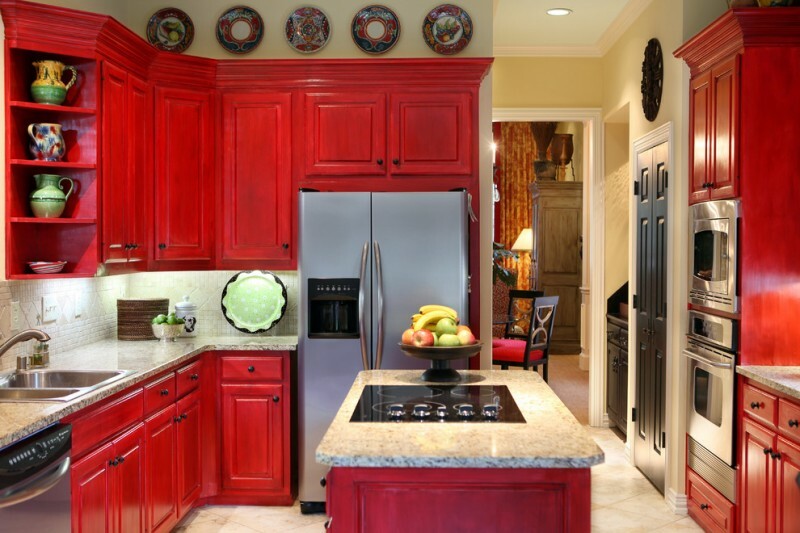 The following are some red cabinets that will make your kitchen more amazing. This small kitchen features white flat panel cabinets, red cabinets, white backsplash, an island, Glenn barstools, and solid surface countertops. The red cabinet gives nice color accent in this black and white kitchen. A red kitchen island with some drawers and wood countertop brings a cool vibe in this warm kitchen. If you want to have a colorful backsplash like the one in this kitchen, you can buy colorful tiles in the same size. You only need to shape and mix them to your preference. 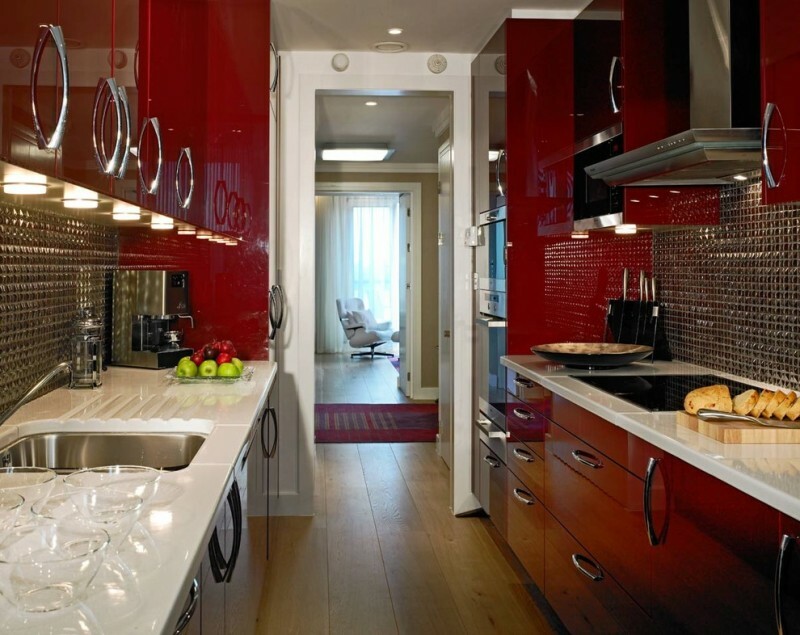 The kitchen cabinets are IKEA cabinets with the high gloss red foil door. The gloss makes the cabinets look like mirrored cabinets. This kitchen also features a square mirror, hanging pot racks, white sink, and grey floor tile. 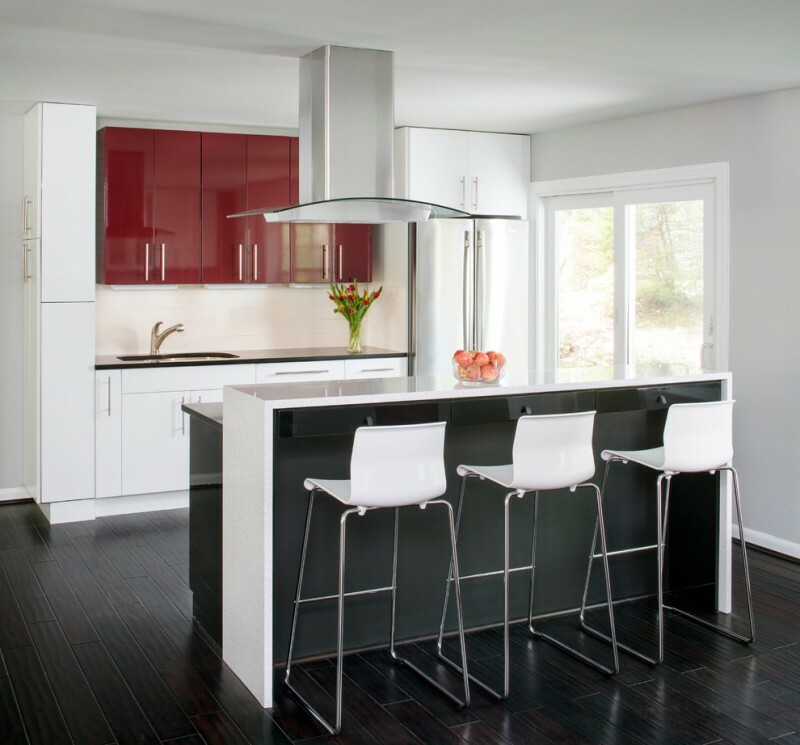 This kitchen shows a combination of red, black, and stainless. 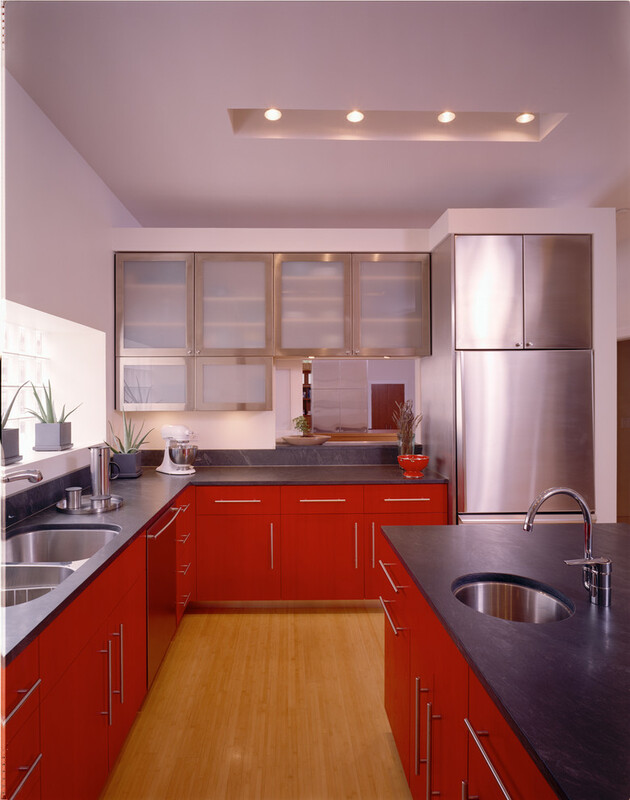 The red cabinets have stainless hardware and undermount sinks with black countertop. It feels so cozy and clean. 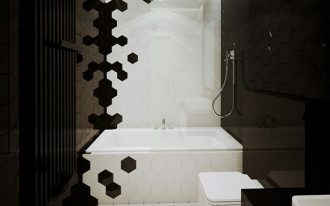 Besides the red closed cabinets, you can also see the upper cabinet with frosted glass door. 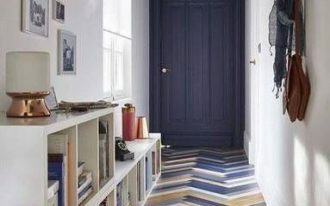 If you’re considering a kitchen renovation, don’t be afraid to choose a bold color. Although this narrow kitchen comes with bold red cabinets on both sides, the recessed lighting under the cabinets and white countertops make this kitchen comfortable. This handpainted red cabinet with black granite worksurface has an undermount sink, minimalist faucet, and open shelves. 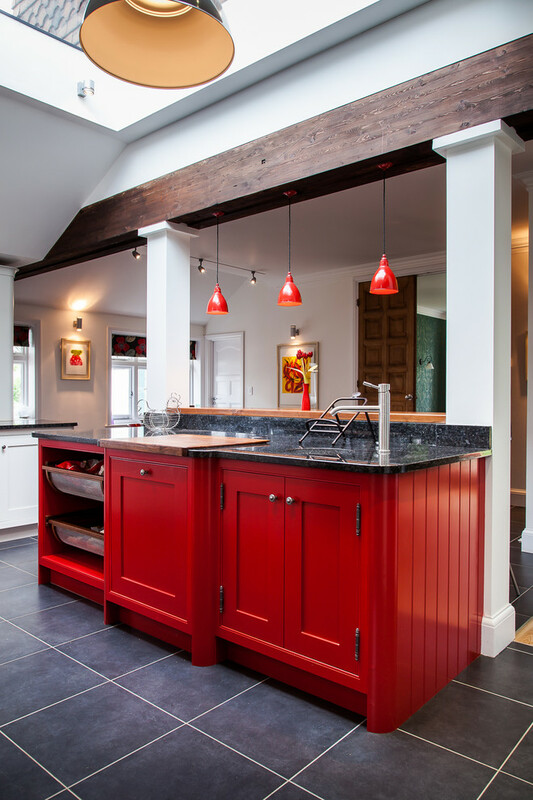 Red pendant lamps are installed above this island as the lighting fixture. 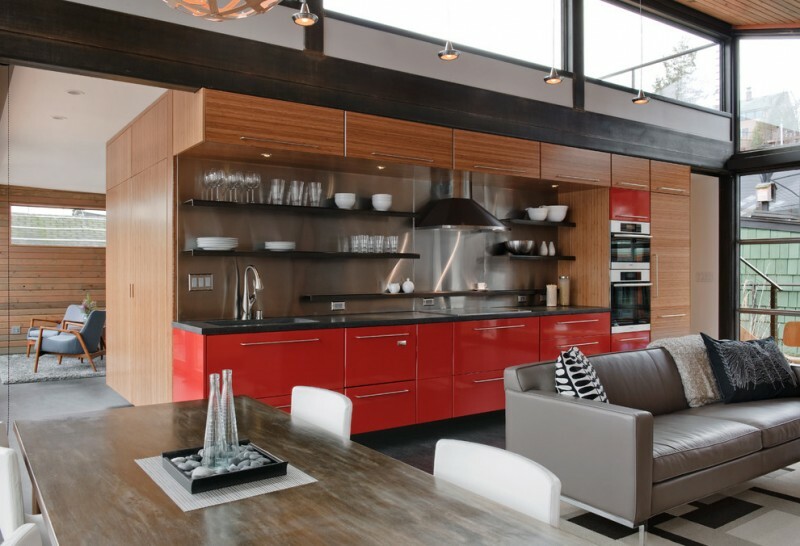 This single-wall kitchen features red cabinets, wood cabinets, and custom steel shelves. The custom steel shelves were made in a metal shop. 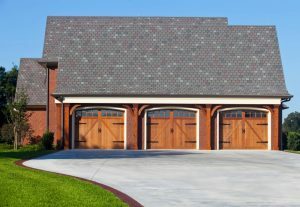 This nice mix of light and dark neutral colors create pleasing balance with this intense red. 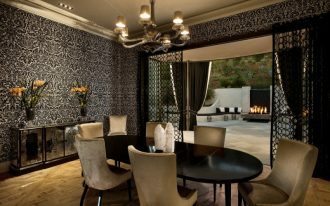 Everyone will enjoy being in here. This colorful kitchen features white ceiling, red kitchen cabinets, green wall, light brown floor, cream granite countertops, and white kitchen island. 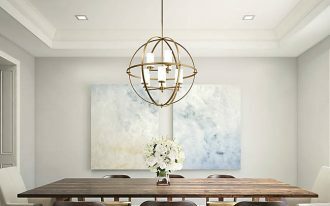 This kitchen also gets so much lighting from the recessed lighting, windows, and kitchen pendants. 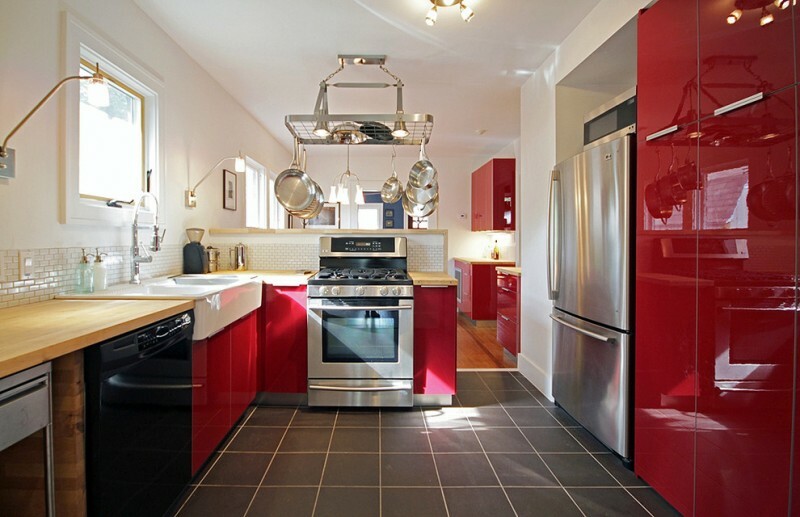 The red kitchen island is darker than the red cabinets. The corner edge of the cabinet also provides some shelves to put some teapots or small plates. The recessed lighting under the cabinet shows the beautiful beige backsplash and granite countertop. This open concept kitchen uses windows with white frames and glass roofs to get natural lighting. 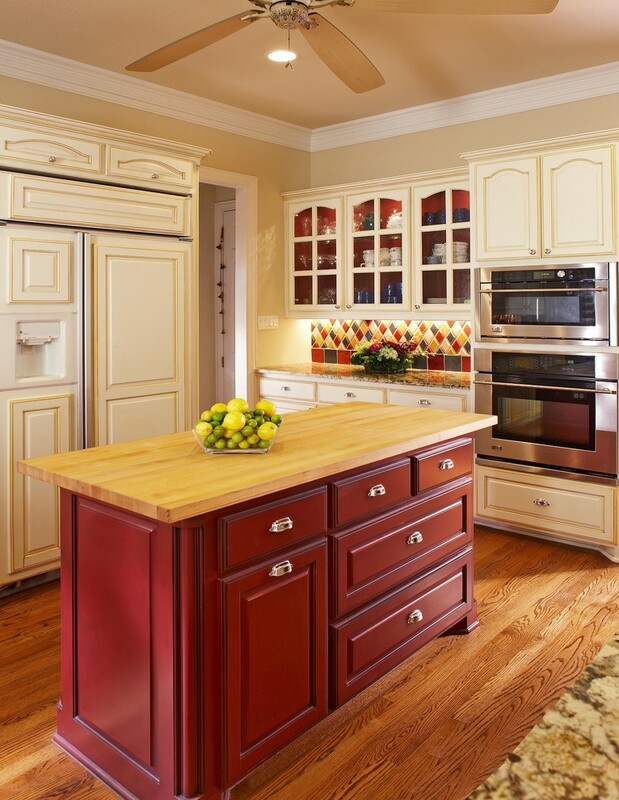 This kitchen has red cabinets and other features in natural colors.